To kick off the holidays, my husband and I decided to play at Disneyland and California Adventures for a couple of days, and stay a night at the beautiful Grand California Hotel & Spa. The main entrance features a set of beautiful stained glass doors. The doors open automatically, but with all the people traffic going in and out, it's difficult to see the doors fully closed. Be patient. It took me about 15 minutes to get the chance to see all this gorgeousness. The true story is that we accepted an invitation to a special Passholders event (we've never been to one and wanted to check it out) and decided this would be a nice holiday kick-off now that the Christmas decorations are on display throughout the Disney properties. Gerry doesn't like to drive the one and a half hours home after a long day walking through the parks, and preferred to stay overnight. 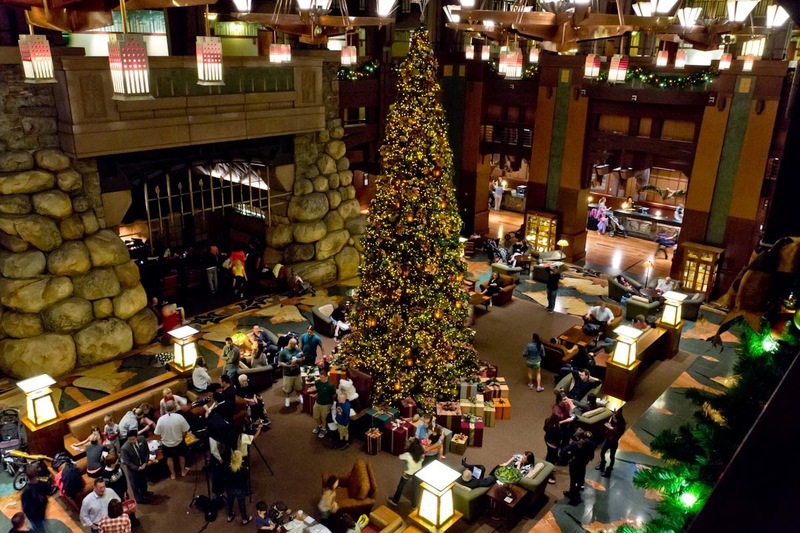 We stayed at the Grand Californian a few times before, and it still doesn't disappoint. 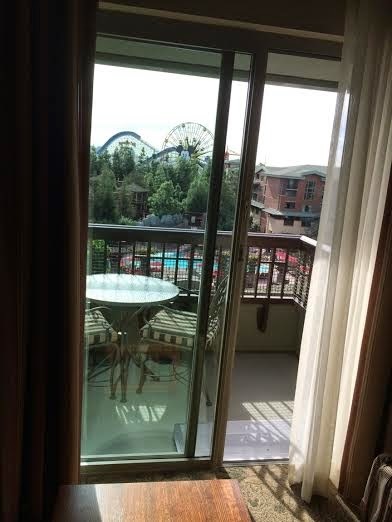 The hotel is located next to both Disneyland and California Adventures. Besides the grand main doors to the 19th-century Arts and Crafts hotel, there are two other doors. One takes you directly to the Downtown Disney District where there are lots of shopping and dining, and it also takes you to the walkway to Disneyland Park. The second door takes you right into California Adventures. So convenient for hotel guests! The stand-out feature of the Grand Lobby is the enormous hearth to the left. Inside is a cozy nook holding several comfy chairs to lie back on. It's first-come, first-served. The best time to come and sit is when the final parades and fireworks shows are happening in the parks. Just me, my Toms slippers, Starbucks, and my Christmas ornaments that Disney passed out to the guests at the Passholders event. I love the architecture and decor of this hotel. It's grand, woodsy, warm and the staff is welcoming. The lobby beckons you to come and sit for a long while, which we do, by the grand fireplace, of course! Especially after a long day of walking and playing. 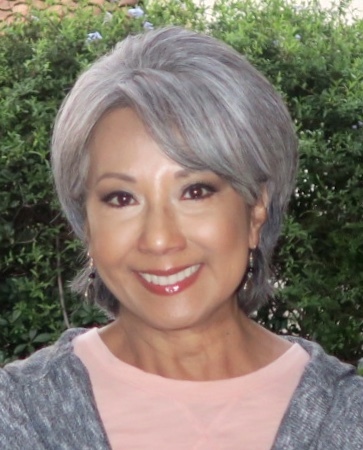 Where's that glass of wine or hot cup of coffee? The rooms are great, but they're showing some wear and tear. I think it's time for a new makeover. We've stayed in rooms that face the Brisa Courtyard, which is lovely and quiet and lots of trees and foliage. However, I prefer a room that gives me a view beyond the property. The view of Paradise Pier was great! This time we stayed on the Concierge Level but refused the Concierge Experience. It's expensive and we knew we wouldn't be using the perks like the continental breakfast, and snacks and drinks throughout the day and night. I think it's great if you have small kids, and you need a nice respite from the parks. The magic hour -- getting into the park an hour before the general public. Hit your favorite rides first! The Disney characters at breakfast in the Storyteller's Cafe. How can you not love them? Route 66 and Cars Land!!!! Free WiFi -- a blogger's dream. No special PIN or pass code needed. Just plug in! Our room was so cold. Gerry and I couldn't get a comfortable temperature to stay constant. No full-length mirror. A lady wants to check her appearance before she leaves her hotel room! One word of advice before I leave you. Before you book your room online, first call hotel reservations to see what special offers they have. You're more likely to get a better rate dealing directly with the reservation agent than booking online. Where do you stay when you visit the Happiest Place on Earth? Life is a Highway visited the Grand Californian as a guest; however, my opinion, as always, is my own.